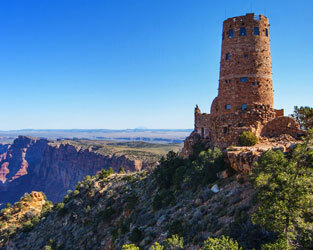 With challenging trails, thrilling rapids and more, the Grand Canyon is an ideal destination for highly active travelers. This itinerary offers suggestions for the energetic and adventurous, with a range of recommendations, including some that are quite physically demanding. 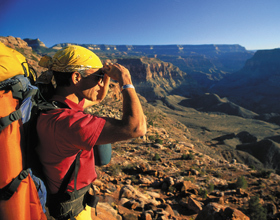 Originally a mining trail created to connect the rim with the copper mines on Horseshoe Mesa, Grandview is a challenging trail for experienced desert hikers with roundtrip hikes of up to 6 miles, with the option of accessing points beyond via connecting trails. Be sure to read up on hiking tips and ways to "hike smart" before you begin your hike. 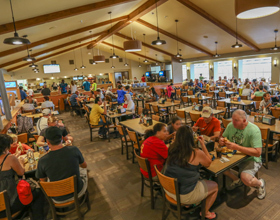 Featuring a relaxed atmosphere with southwestern flavor, no Grand Canyon trip is complete without dining at Yavapai Lodge®. 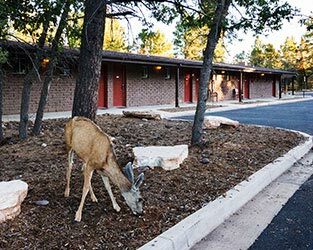 Whether you want smoked beef brisket, a grilled flat iron steak, or a vegetarian meal, there's something to love at Yavapai Lodge Restaurant. Newly remodeled, and open for breakfast, lunch and dinner daily. 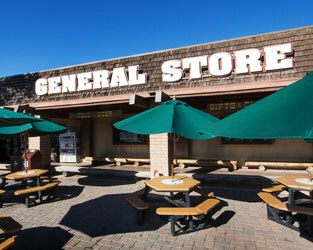 After you've satisfied your taste for adventure, stop by for a local brew or a glass of wine. 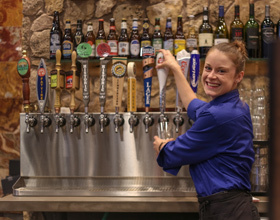 Or grab a drink before or after dinner at Yavapai Lodge Restaurant. If you're in the mood for lighter fare, try brisket sliders, bacon wrapped jalapenos or guacamole and chips. 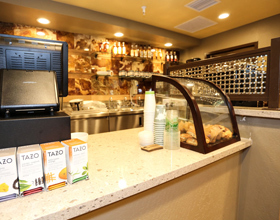 Stop by the Yavapai Lodge® Coffee Shop for a quick cup of coffee in the morning or to grab food to go before you head out on a hike. Fuel up on baked goods like bagels and croissants, or pick up a sandwich, wrap or salad to go. 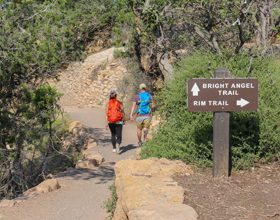 A well-defined, maintained dirt trail beginning next to Kolb Studio, Bright Angel Trail includes a number of popular destinations. The trail is steep but the rise is initially gradual, providing a good opportunity to get a taste of an Inner Canyon hike with a short out-and-back. Be sure to read up on hiking tips and ways to "hike smart" before you begin your hike. 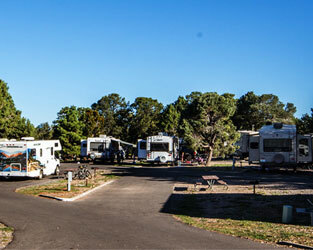 A bicycle is an ideal form of transportation in Grand Canyon National Park, and a bike tour is an ideal way to get to know more about the area. Let one of our knowledgeable guides take you on a tour of the village or the geology via bike. Bicycle rentals and guided bicycle tours are available between April 1 and October 31 (other times when weather permits). 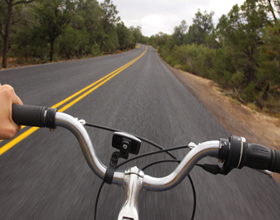 You are also welcome to bring your own bike to use on the Greenway Trail and other designated bike paths. 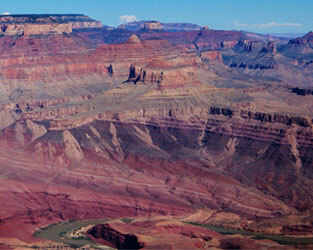 For the most adventurous Grand Canyon visitors, a whitewater raft trip down the Colorado River is not to be missed. 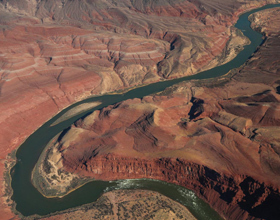 These tours are not for the faint of heart - the Colorado River rapids are so strong that the river has a special class rating.